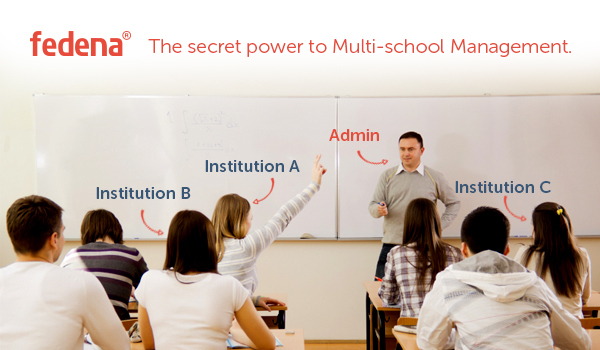 School ERP System – The secret power to Multischool management. Managing a school/institution is equivalent to running a tight ship, but managing a group of schools/institutions is just the tip of the iceberg. After constantly taking feedback and updating our Fedena accounts panel, we are glad to say that we have successfully identified key features that admins for a group of institutions would find very helpful. To give you a better understanding of the features in the accounts panel and how they can be applied, we will be releasing a series of blog posts describing features and their applications to your institutions’ administration. Creating a Group of Institutions as well as Groups of Institutions. Creating institutions under each group. Setting up your SMS settings and Assignment. Multiple Admin profiles with customized accessibility. 1. One dashboard to manage and track all your institutions. 2. Track what you want, when you want, how you want. 3. Rebrand Fedena to your Institution’s Brand. 4. Easily configure online payment options for independent as well as a group of institutions. 5. Involve more admins at different levels by allocating accessibility to the Fedena accounts panel. 6. Choose SMS settings as well as email settings easily for all the institutions in your group without the hassle of setting them up separately for every institution. 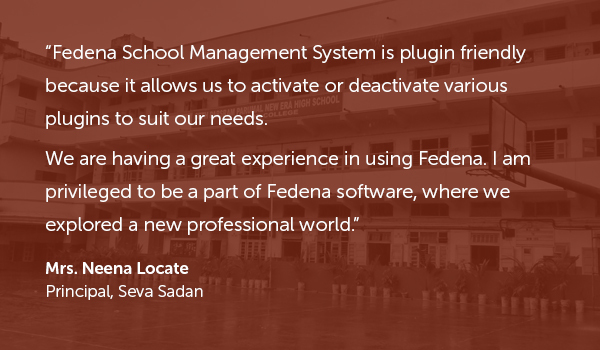 If these reasons aren’t enough to get you started with Fedena School ERP system for your group of Institutions, look out further for this space as we go in-depth into describing the various features the Multi-school management panel from Fedena offers and how it best fits and automates your group of Institutions. Next PostNext Fedena Chat Support is here!